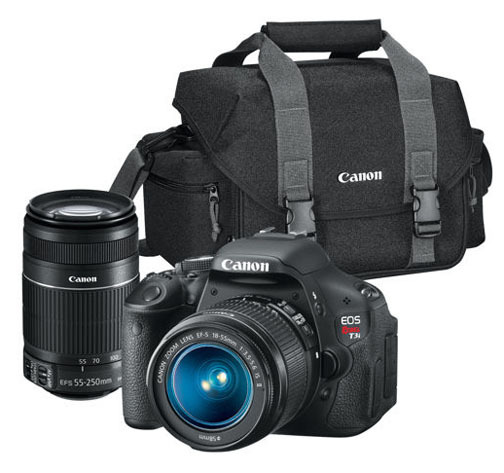 Searching for reviews on a good Canon t3i bag? The line up is pretty extensive and it can get confusing. This post will help you decide what direction to go in for carrying you Canon, whether a traditional bag, a quick-loading sling or a small case for your t3i is better. 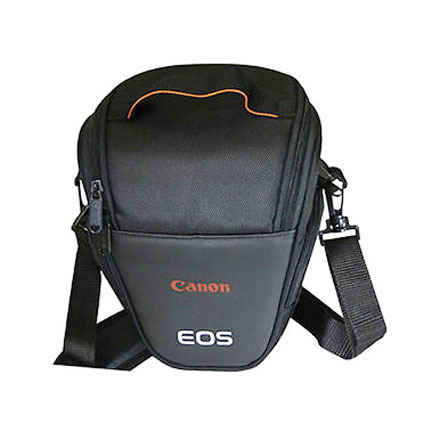 Even though this is the Canon Camera Geek web site, there is no blind loyalty here toward only the Canon made camera bags. 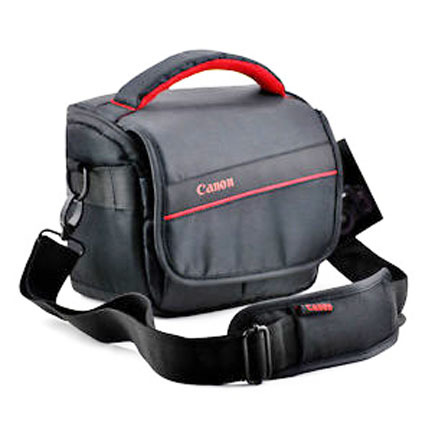 Don't limit your search search for a good bag to only the ones that are made by Canon. Canon does not specialize in just making packs and they don't make one specifically for the Canon Rebel t3i camera. There are plenty of choices for any of the "t" series of cameras, including the t3, t3i, t4i, t5, t5i, t6, t6, t6s, t7, or t7i. 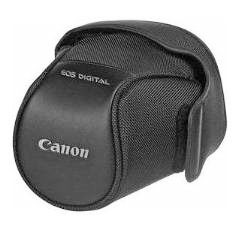 Canon does make a camera case designed to fit the t3i. It's the EH19-L. No room for accessories but it will protect your camera. This is the kind of case I grew up on, with my Beseler Topcon. What I liked about it was that it came in two parts. The main section screwed into the tripod socket and stayed on to protect the camera body. There is a fine line between being totally prepared and taking all of your gear with you and being burdened to carrying too much. You certainly don't want carrying your cameras and accessories to be a nuisance. Taking a little bag is easy and keeps photography fun. Most of the readers of the Digital Photography Tips web site are not professionals and their requirements are different than a professional photographer. My pro shoulder bag is quite heavy when I have it loaded up with two bodies, 3 lenses and flash gear too but I need to use it when I am shooting portraits on location. When I go photo-hiking I prefer backpacks and sling bags. Back when I was still in the wedding photography business, I had two camera bodies, three lenses, two flash units, and several batteries for the cameras and flash units with me at all times. When I go on my personal travel photography excursions I have two camera bags. One is a backpack for serious photo excursions and one is a belly bag which I use on fast-paced day hikes. When photographers first get a new camera they usually use it quite a bit. Unfortunately there is a drop off because it becomes a hassle to carry a big camera pack. Your camera bag choice should enhance your photography experience. 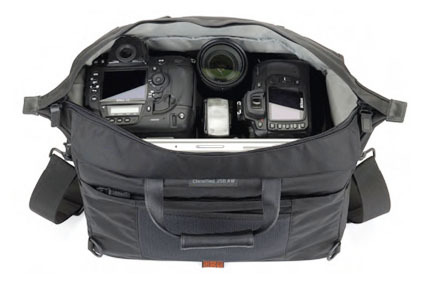 Here are a few of the popular NON-Canon t3i bag choices. I like on-line retailers who provide a lot of information through the reviews of real, actual buyers and also have outstanding customer service and return policies. Comfort is one of the important things to consider. How you want to wear your Canon t3i bag makes all the difference. Shoulder bags. This was the single most popular design for many years in the world of photography. 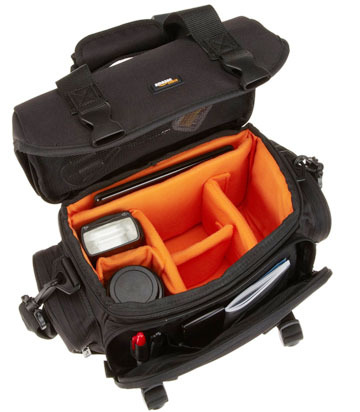 They often have the most versatility because of adjustable compartments, optional external side pouches, tripod straps and storage within the lid. Sling bags. - They don't look like a traditional camera bag so they might be less of an obvious target for a thief who wants to steal your precious camera and accessories. Backpacks. - A few of the higher level backpacks have a sling type of feature but the large majority of them require you to remove your pack and set it down for access. These are easily the most comfortable and balanced weigh to carry significant amount of camera lenses, and related accessories. Zipper closure is a must. Yes, I know that Velcro can provide quicker access but zippered enclosure are a must for protecting your valuable cameras and lenses. Velcro is fine for any pouches or pockets for other smaller accessories. 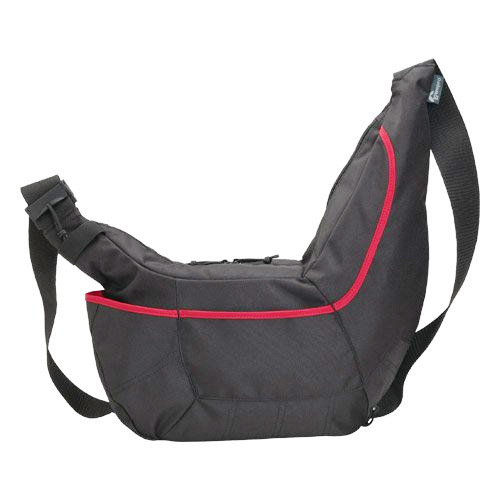 The number of compartments and pouches both inside and outside the bag should be paid attention too. 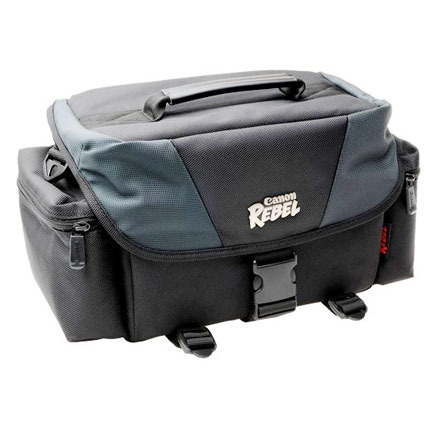 Adjustable Velcro panels in the interior make any camera bag good for adjusting to fit your specific gear and gives you flexibility. If you change your equipment you can change your camera bag accordingly. Speed of access. The large majority of casual shooters don't need fast access. Wildlife and sports photographers who are constantly on the move from one spot to another with changing subject matter may need quick access of a sling camera bag. 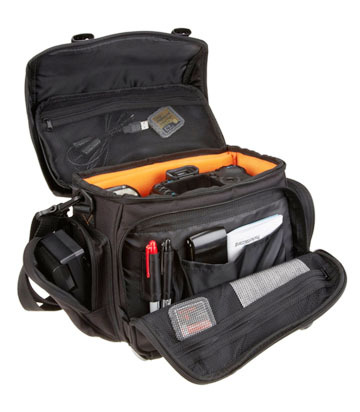 Good Luck with your search for a Canon t3i bag! Keep enjoying your passion for digital photography. 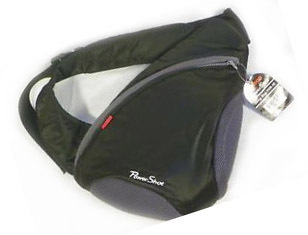 The PowerShot sling bags are too small for a t3i. Sling bags are great for quick camera access.